Thanks for providing such a lovely post to divert me from my lecture prep, John! Ah, Durham, how I love you! 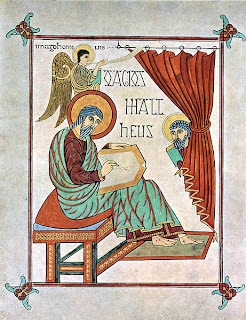 Since we were going over the gospel of Mark today in class, I showed this photo of the Lindisfarne Gospels (http://www.bl.uk/manuscripts/Viewer.aspx?ref=cotton_ms_nero_d_iv_f089v); one of my students is named Marcus, so I said, "There you go, Marcus, now you know how to spell your name in Latin!" We all got a good chuckle out of that one. He didn't know that about his name. That was fun; thanks for passing this on again. 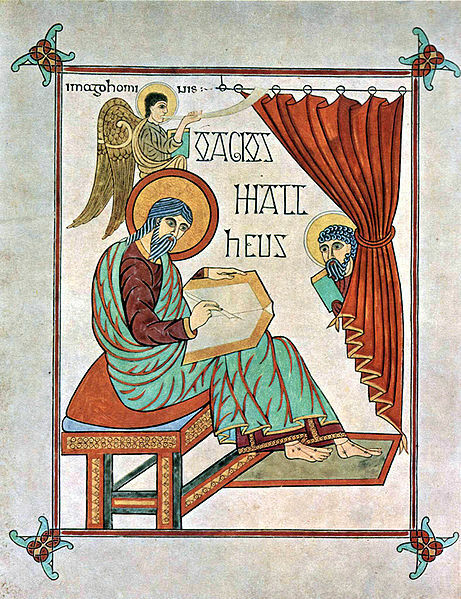 It was good to share the Lindisfarne gospels with my students while we are going over the gospels in general. Standing in the presence of the Book of Kells last year in Dublin, I was in awe not only of the illuminations but of the devotion that an entire community gave to the production of that manuscript. To them, the transcription of the Word of God was an act of worship that required the lives and skill and love of everyone involved. In our day of computer printing and multiple choices of translations, what can compare with such awe that prompted the acts of worship we see from Kells and Lindisfarne and others? These take my breath away - not because of their antiquity nor because of their artistry, but because the very presence of the Holy Spirit is traceable in every letter, on every page.